Akadi's dishes will take you to places you've probably never been before. Chef-owner Fatou Ouattara, who moved from the Ivory Coast to attend Portland State University, churns out around 40 vegetarian, seafood and meat dishes from countries throughout West Africa. Cassava sticks ($5.95)—made from the yuca-like cassava tuber—are as crowd-pleasing as french fries, particularly when combined with the otherworldly tomato-based dipping sauce. 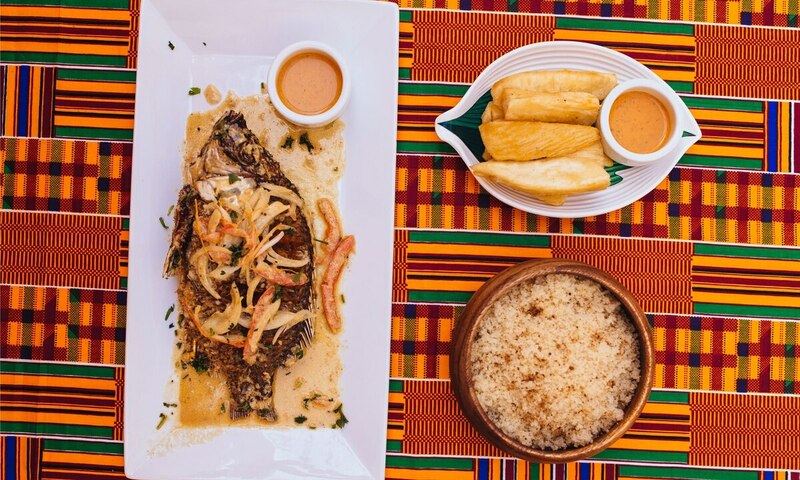 And the national dish of the Ivory Coast, attieke poisson braise ($13.95), has a sweet-tart sauce with a hint of mustard that just might make your eyes roll back into your head. Get it with the deep-fried whole tilapia. And if you're feeling more adventurous, the goat ($15.95) is a rich tomato stew with the spicy-fruity complexity of dried chilies, plus tender meat.